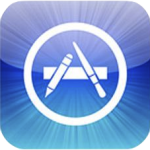 The iPhone App Store has received lots of criticism over its app approval process, with many suggestions on how to improve the approval process. Many of these criticisms are indeed true, such as the lack of transparency in the app approval process and the seeming lack of a common approval standard, leaving developers at Apple’s mercy. However, I feel that the very nature of the App Store is the reason that such an approval process is indeed necessary, though of course I am not saying this is the best possible implementation or that the approval process cannot be further refined. The App Store was introduced with the 2.0 iPhone firmware and it is largely applauded as a great success, sparking spinoffs on other smartphone platforms such the Windows Mobile Marketplace, Android Market, Blackberry App Store etc. However, it has certain features (I shall not use the word flaw since this is supposed to be a neutral post) that requires Apple to step in as a regulator to decide which apps makes it to the App Store. One major feature of the App Store is that there is no trials available. It’s a system of “buy first, try later” rather than the usual “try first, buy later” model that is now taken for granted for desktop applications. Of course, many developers now offer a crippled version of their application for free for users to try out first before making the purchase but personally I find these rather distasteful. Firstly, you have to download the free app, try it out, and if you like it you buy the full app, re-enter all your settings etc. and then finally remove the free app from your phone and your iTunes library. This is now partially solved by Apple allowing in-app purchases for free applications – meaning developers can release a free version of their application and then unlock more content through in app purchases. However, this method is not widely adopted yet and I do have a suggestion as to why this is the case. You see, in app purchases are meant to unlock content – if I am not wrong (I haven’t really extensively looked at the iPhone SDK), you cannot unlock features with in app purchases. This means that while content providers can make use of this feature to create a trial version of their apps, apps that depend on features cannot fully employ this method to have a trial application. But how is this all linked to the App Store itself? Well, without the provision of a way for developers to release a trial version through the app store, Apple is now held solely responsible for the quality of the applications. An end user probably would not mind if one or two of his purchased applications does not work as advertised (since the price point of most applications is at the impulse buy level), but if it becomes a repeating occurrence, the end user is bound to be dissatisfied. Hence, without a proper trial model, someone has to be responsible for the quality of the application, and Apple chose to be responsible for the quality of the applications for the reason I am going to discuss in the next paragraph. The App Store is revolutionary in the sense it becomes a central repository for iPhone applications – something never before seen either on the desktop platform or on the mobile platform. Apps have always been distributed through the developers’ own channels (their own websites etc.) and never through one common channel. While this makes it really easy for end users to look for applications (think of it as Google for applications only) and easily install these applications, it also creates a host of potential trouble. By helping to distribute the applications, Apple is regarded to have endorsed the application and is thus now held responsible for the quality of the application, unlike the traditional model where the developer is solely responsible for the application, since it is both created and distributed by him. Of course, Apple can refuse to take responsibility for the applications distributed through the App Store and direct customers to the developers and leave them to settle any issues between themselves, but Apple does not want its App Store distribution channel to be known as a place that is plagued with low quality or even malicious applications – especially if it wants to pull off the “buy first, try later” model as discussed above. These are just some of the possible reasons that Apple might have decided to implement the infamous app approval process. I do agree that Apple might have overstepped its authority sometimes – in my opinion, as long as the application works, does not infringe any laws and is not malicious, it should be allowed into store (though I do think that the fart apps and apps such as “Asian Babes” should be banned – they are simply ridiculous), but since it is the sole official app distribution for the iPhone now (and probably forever), we would just have to play by their rules and hope that it gets better.